Crain’s Chicago Business recently released its list of “Chicago’s Largest Employers,” ranked by full-time local employees as of 12/31/18. 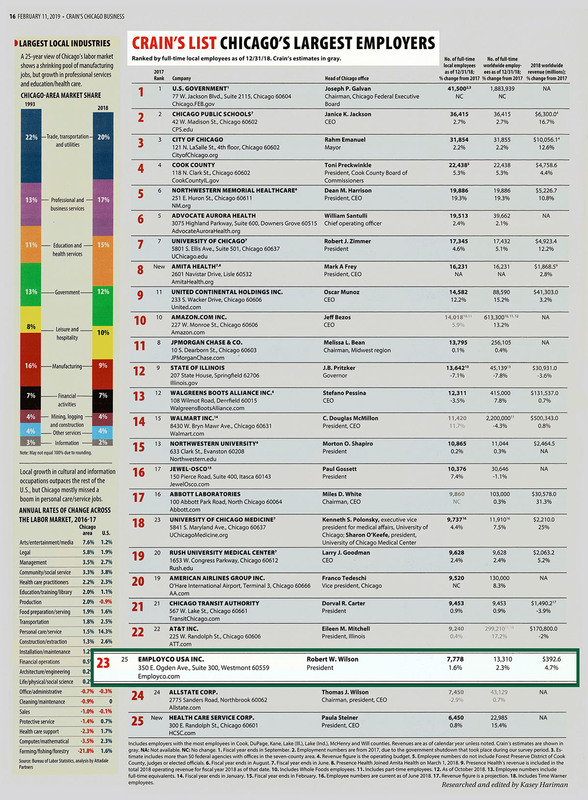 Employco USA took the 23rd spot – among other local giants, such as: Amazon, Chase, and Wal-Mart. Employco rose 1.6% from its 2017 count, with 7,778 full-time local employees. Rob was interviewed by John Howell, of WLS Radio 890 in Chicago, last Thursday regarding the financial impact of the polar vortex. 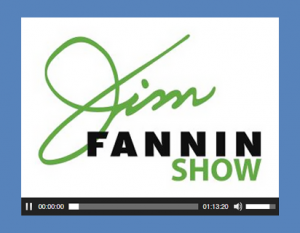 “This episode of the Jim Fannin Show spotlights the mindset required to reach the formidable apex of peak performance in the most competitive situations, conditions and circumstances. Reaching your ultimate dream or vision is NOT easy. However, I look forward to providing a Sherpa’s take on the ins and outs of success mountain climbing. 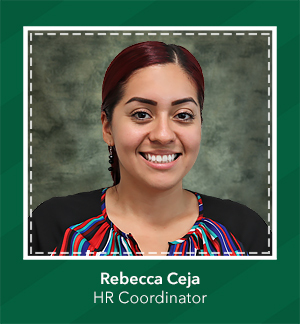 Rebecca Ceja, HR Coordinator – a large portion of her responsibilities include providing 2 days of onsite human resources support for one of Employco’s clients at their headquarters in Itasca, Illinois. The other 3 days per week will be at Employco’s office in Westmont, Illinois, providing offsite support as well as HR responsibilities for several other Employco clients. 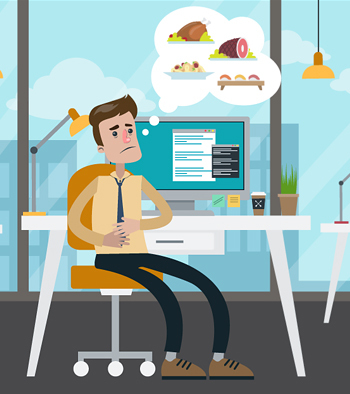 Rob Wilson on Business for Breakfast: Is America Really Near Full Employment? 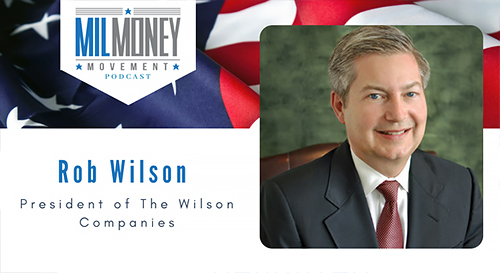 Rob Wilson discusses the latest jobs report and if America really is near full employment on a segment of Business for Breakfast (Money Radio). Rob Wilson discusses employee suicide in the workplace on GoLocal LIVE with Rachel Nunes. “National discussions about suicide and how to prevent it have come into the spotlight following the death of high-profile figures such as Kate Spade and Anthony Bourdain. Rob joined Mike Morrison of the Don and Mike Show for a podcast interview while onsite in California for ESCA. Rob’s interview comes in at the 17:42 mark.